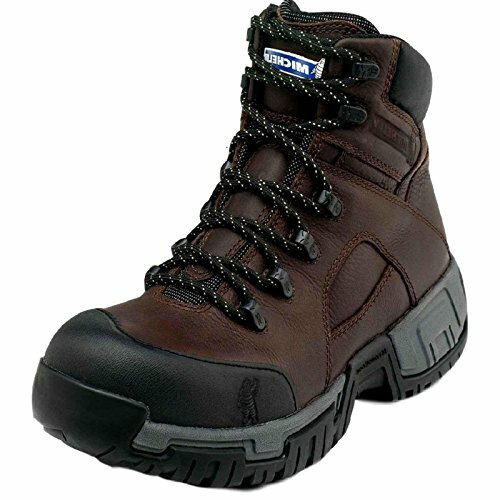 An Advanced non-marking Michelin HydroEdge outsole that is oil and slip-resistant. Durable full-grain leather uppers. Electrical Hazard. Guaranteed waterproof construction. Michelin O2F technology forces air circulation through the vents providing maximum circulation and ventalation around the foot. Michelin's exclusive Advanced Rear Suspension (ARS) providing shock absorption with every heel strike. Steel toe meets ASTM standards for impact and compression.